The Sheep Whisperer: I Just want to be a Sheep,Baaa,Baaa.! 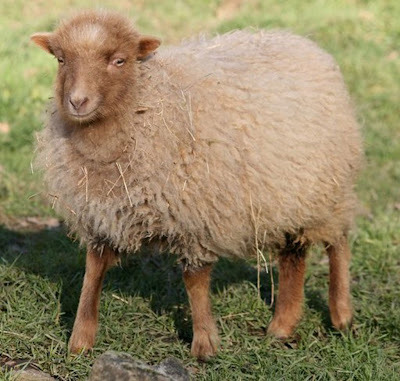 Sheep are one of the first animals to be domesticated . Studying sheep uncovers some fascinating parallels that connect them closely with humans. 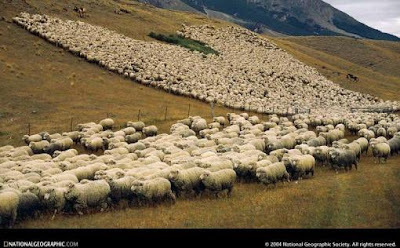 The Bible refers to the followers of Christ as sheep close to 500 times! See if Ewe can observe why. Ewe will love me the more ewe get to know me! Ewe can take that to the bank! ﻿﻿﻿A typical sheep family has different names.The mother is known as a Ewe & she raises the family. The father is known as a Ram & is very uninvolved with family life, except for the mating season. 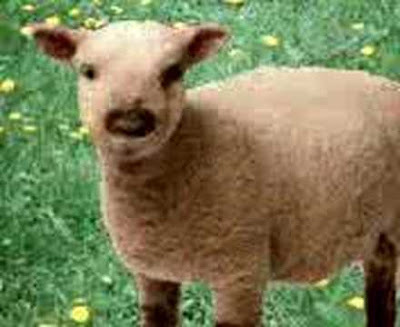 The baby sheep are known as lambs. They strongly bond with their mother, upon giving birth to 1-3 kids, following a 3- month labor. Ewe must know by now that I love my Mommy! Lambs are born very independent & display a real curiosity! As they grow, they begin to better understand the "pecking order" of the flock.They must learn to submit to the "Dominant Ewe", if they hope to survive peacefully in the flock! I'm one "Baa..D" Mama ! Don't ewe mess with me! Sheep Are very social animals & will form friendships in small groups. Sheep, by nature, are very timid & easily frightened.The biggest reason they flock together, though, is for protection from predators like wolves, coyotes, bears, & cougars. Did ewe know that I feel much safer in a crowd? Is there a convention going on? Sheep are very nervous animals & have a "Flight Zone", which is a comfortable space or distance they like to keep between themselves & other sheep.This is why shepherds are able to effectively use dogs to herd sheep. If ewe invade their "bubble", it's time to run! Shh! I'm hoping they won't notice me right away! Sheep are fascinating creatures.They rely on a keen sense of smell & hearing, however, have poor eyesight & depth perception.When grazing, they prefer to face into the wind, & will always run toward the light, instead of the shadows. They really are at their best when the Shepherd is present & on their radar.That is when they are most content, under the loving protection & care of their Shepherd. I'm one happy camper, as long as my Shepherd is near! 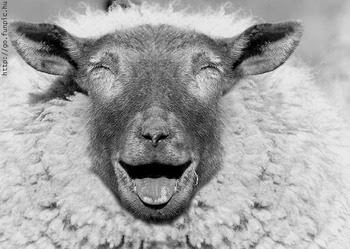 Today is a great opportunity to enjoy life as one of His sheep.Trust that the Good Shepherd has His eye on all the details of Ewe'r day!